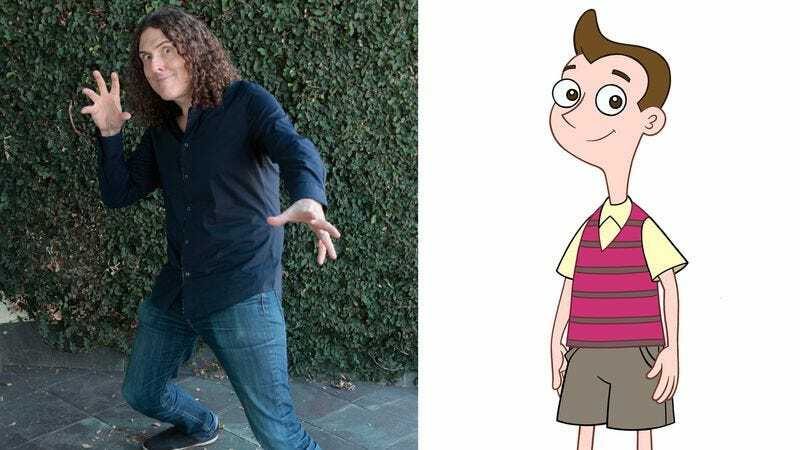 “Weird Al” Yankovic has plenty of voice acting credits to his name, which we can only hope will prepare him for a new role that comes with an unfortunate legacy: Disney XD has cast the multi-hyphenate artist as the lead in its new animated series, Milo Murphy’s Law. “Weird Al” will voice Milo Murphy, the (fictional) great-great-great-great grandson of the Murphy’s Law namesake, whom you might recall as the individual for whom everything that could possibly go wrong went, well, wrong. The series comes from Phineas And Ferb creators Dan Povenmire and Jeff “Swampy” Marsh, and will premiere this fall. Despite having inherited the world’s worst luck—it’s a fictional malady known as the “Extreme Hereditary Murphy’s Law condition”—Milo’s an unrelentingly enthusiastic kid. He does remain vigilant, carrying a “backpack full of supplies” to contend with the various and inevitable disasters he’ll encounter. “Weird Al” will sing original songs (including the opening theme) throughout the show, further demonstrating just how plucky and adaptable this Milo kid is. The extended voice cast includes Christian Slater, Jemaine Clement, Sarah Chalke, Pamela Adlon, and Diedrich Bader. Sabrina Carpenter (Girl Meets World) and Mekai Curtis (Kirby Buckets) will voice Milo’s “fearless friends” Melissa and Zack. We suppose they, along with the rest of his friends and family, would have to be fearless in order to hang out with someone who literally has the world’s worst luck.